The following list is designed to be extendable. Don't hesitate to register and extend it yourself (But please don't pollute with irrelevant links because they will be removed by the WIKI administrator). 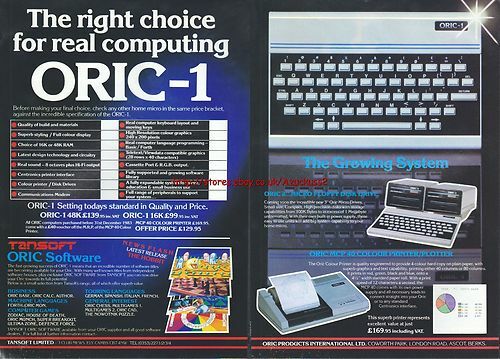 The Oric SDK All you need to create programs for your Oric (in Assembler, BASIC, or C) using your PC. The Pouet.net demoscene site maintains a list of all the known Oric demos.